I was so pumped after the ING NYC Marathon this year! I was inspired to beat my mental block about never completing a full marathon! But…. I officially joined the New York Road Runners in September of this year. They have a 9+1 qualifying system for runners who complete many races with them. That means member runners can complete 9 qualifier races and volunteer for an event for a guaranteed entry to one of the world’s most amazing events, the New York City marathon (no longer ING). So since September I have completed 5 of my 9 qualifying races. I was so pumped! I totally thought I had time to qualify for next year’s marathon! Only 4 more races and 1 volunteer! 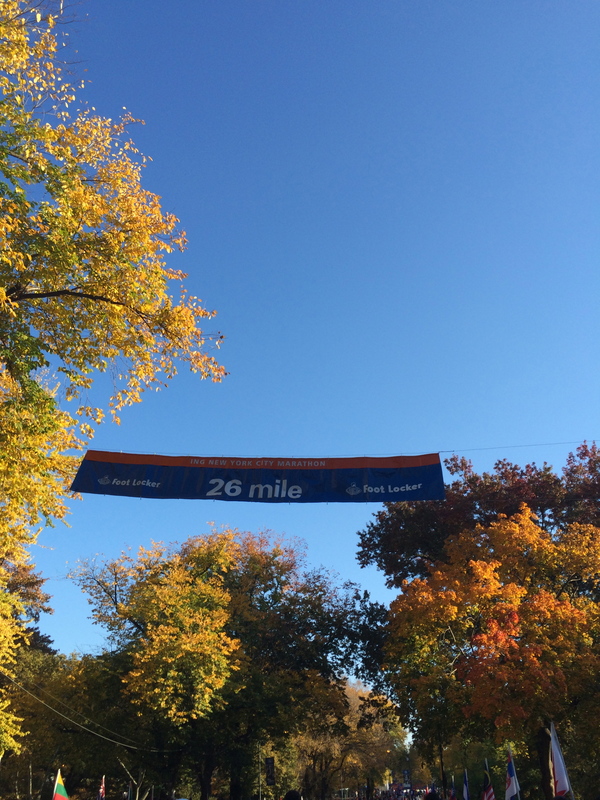 I was already signed up for 2 more races and had to figure out an event to volunteer for …. Until…. I read the fine print and realized that I needed the rest of my races by completed by December 31st! CRAP! New dream shattered. Well not really. I’ll be damned if I don’t qualify for the 2015 race! I’ve already signed up for the first 2014 qualifier races! Need to get my winter training going! No wimping out this winter. I am going all in! Hahahaha! You did. Talk about a mental shift.